….. in l’Île de Ré, my favourite place. Last year I missed my summer vacation in île de Ré, because of an unfortunate inconvenience like, the big renovation of the house, so no possible way to stay there. This year I made sure that I and my family really could stay a long, long time…… just to relax and contemplate the beauty of this island. Long strolls on the bike to the nearest beaches between: St.Clément des Baleines, with their lighthouse “Phare des Baleines” and the village the most far east-north on the island called Les Portes en Ré. The beaches are majestic, long and vide. The Atlantic Ocean is strong and forceful, quite good waves when there’s high tide, the surfing is not the best here in France but still ok, it’s a good learning spot. The winds are usually strong so sailing, wind surfing and kite surfing are perfect sport activities. The beaches still reminds you of the German Occupation during World War II, where you still can see the old bunkers before high up on the sand dunes, but now they are only tipping over since the erosion is causing damages to the nature. 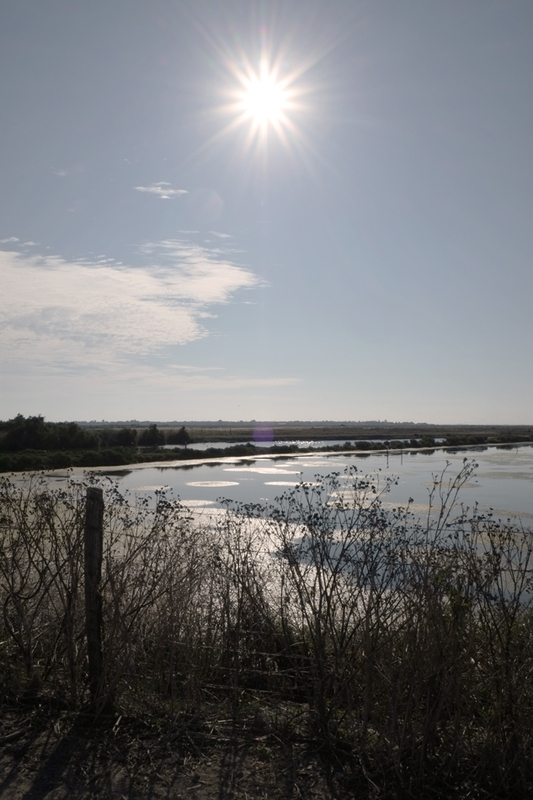 Cycling from my village, Ars en Ré to Les Portes, you will cross over the fantastic salt fields and the naturel reserves of Lilleau des Niges, a very important place for thousands of migrant birds. This is also the place where the ecosystem has been preserved by a group of determined and fierce people who wouldn’t lose a battle against a multi-billionaire company who initially wanted to cement this natures’ reserves, just to build extensive compounds of houses. I have probably spent something like 16-17 summer vacations here in l’Île de Ré, they always reminds me of my beautiful childhood summer holidays in Sweden going places like Gotland, Öland and especially Österlen in Skåne, in the southern Sweden. The markets are lovely but very expensive, I always see the same lady when I go to the market, I always start at her stall, her vegetables are actually the only one’s that are really locally farmed. She’s this beautiful woman, with strong features and her skin is so tanned and her hands are like real farmers hands. Everything about her is about the earth, the soil and her fantastic products, like the tomatoes which comes in all different colours from, red, orange, yellow and green, small and big, all different kind of shapes. She has also the most beautiful flowers, they make you happy. Once you have bought what you wanted, you will just add some fruits, cheese and fish from the other merchants. One day we had oysters, this lovely place just along the bike lane on the border of the Ocean at the Oyster park, it was exquisite, the oysters were good, not perfect, summer isn’t the season for oysters, it’s the time when they reproduce so they are usually quite”milky” the word in french is “laiteuse” so a little less appetizing, but nonetheless good. “Summer time when the living is easy”…… passes too quickly and three weeks were gone, but sitting here in Bangkok, I’ll keeping all my lovely souvenirs.